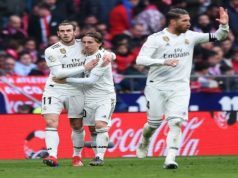 Real Madrid couldn’t beat Atlético Madrid at Santiago Bernabéu for the seventh year in a row in La Liga and the derby finished in a goalless draw. Los Blancos had many chances and played better but Oblak was the main protagonist to keep his goal untouched. Real Madrid missed another opportunity to fly ahead FC Barcelona after his draw at home against Athletic Club. Julen Lopetegui only introduced one change. He put in the pitch Nacho Fernández as a left back instead of Marcelo, injured. Carvajal was again in the line-up and he played a good game. Los Blancos, generally speaking, played quite good and they had many chances to open the scoreboard. Carvajal had the best one in the first half, but also Asensio or Bale could score. Atlético Madrid also brought some danger with the counter attacks. Especially Diego Costa and Antoine Griezmann made Courtois work, but the Belgian goalkeeper showed once again his skill. Real Madrid have signed one of the top goalkeeper in the world, and he is already showing it in every game. 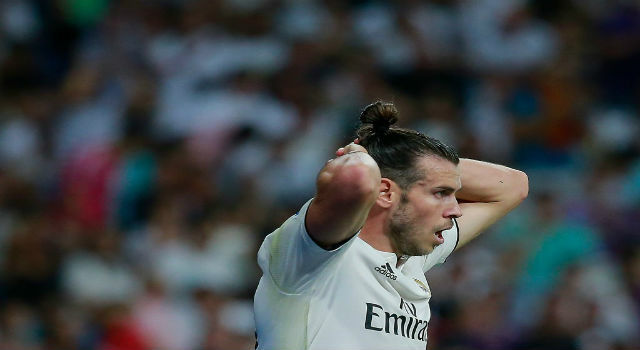 In the half-time, Julen Lopetegui had to substitute Gareth Bale, again with physical problems and Dani Ceballos was on the pitch. The former Betis player was one of the best footballers on the pitch, controlling the game and guiding the team. Los Blancos improved in the second half with Atlético Madrid locked down in their area. However, Real Madrid is already missing Cristiano Ronaldo and they couldn’t finish any of the chances they had. Besides, Julen Lopetegui decided not to introduce Mariano Díaz. With the team looking for a goal and Benzema again out of the game, the coach didn’t think that the former Olympique Lyon striker was the best option. Instead, Vinicius made his debut with two minutes to go. Los Blancos missed another opportunity this season and Lopetegui hasn’t won Atlético in the two games he played against the city rivals. Four difficult games and no victories. There are many things to improve.